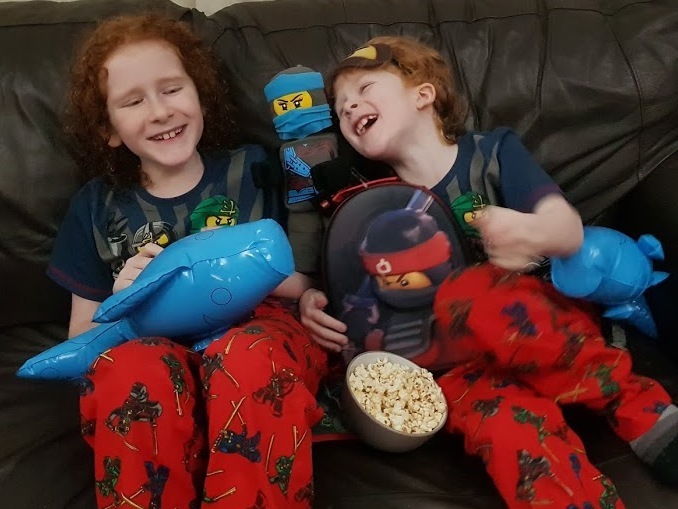 The Brick Castle: Movie Night with The LEGO Ninjago Movie (out now on digital download). The LEGO Ninjago Movie starts with a 'real' segment, starring Jackie Chan as a shopkeeper. A young boy visits the shop and hands over a broken and worn LEGO minifigure in green clothing. The shopkeeper hands him back a perfect green Ninja and tells the boy to look at things differently - the overriding message of the film. 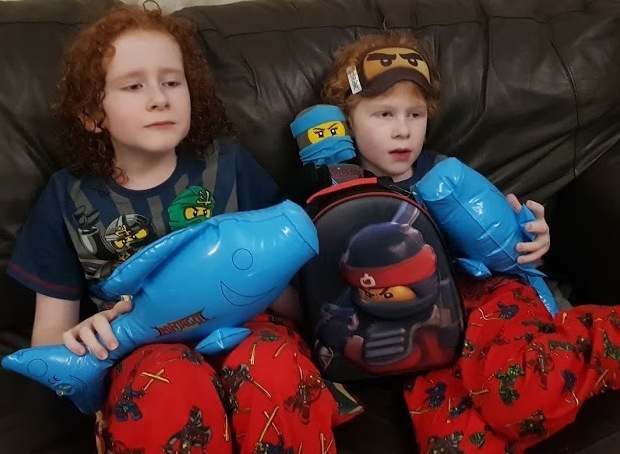 The animation then begins and we are off to the land of Ninjago. Tongue firmly in cheek, The LEGO Ninjago Movie never takes itself seriously and takes the mickey out of the very LEGO that it is made from and it's limitations. It explores the relationships between a father and his son, and even takes a brief look at child abandonment and absentee fathers. It's funny, but has an undercurrent to make you think, just as with The LEGO Movie and The LEGO Batman Movie. 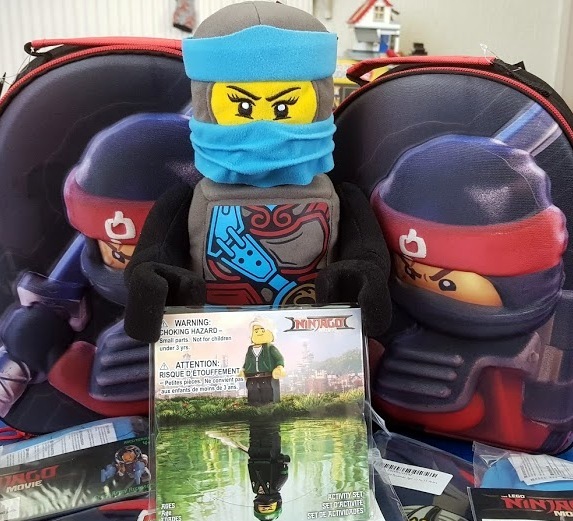 The LEGO Ninjago Movie is out now on Digital Download and will also be released on DVD on February 12th rrp £9.99 from all good stockists including Amazon (affiliate link*). We loved watching it again, it's great all-round family entertainment, with as much for adults as there is for the children. Because they are awesome and deserve a mention, the Ninjago Pyjamas are from Character.com, Blue Ninja Jay is from LEGO.com, 3D LEGO lunchboxes made by Sambro, popcorn from the Co-Op and hair, models own. 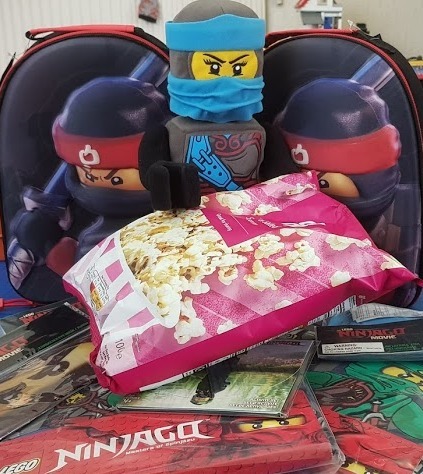 We were sent a code for the Digital Download and the bundle of goodies as shown in order to host our movie night. *I use Amazon Affiliate links because then I earn a few pence commission if you buy through my link, but I won't overlook a better price. I'd get the guilt.